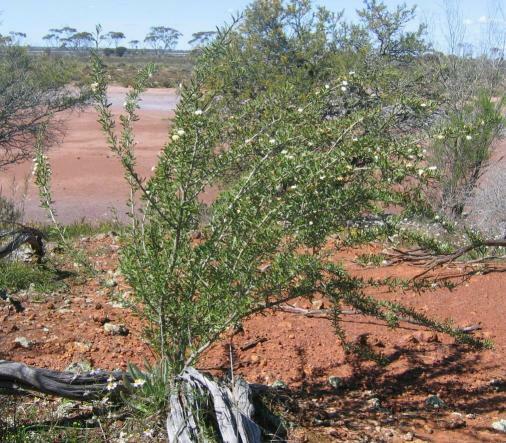 'Scaevola spinescens/Maroon bush is an Aboriginal bush medicine and has traditionally been used by Aboriginal people for the treatment of cancer, heart disease, intestinal trouble, urinary problems, kidney trouble and general illnesses. It is believed to be beneficial in the treatment of cancer.' paraphrased from the book 'Wajarri Wisdom, by Estelle Leyland. Anecdotal evidence over many years suggests this plant may be a useful aid in the treatment of illness including cancer. My personal experience, (I do not have cancer) is that it may give the body a boost and may even have antiviral effect. Scaevola spinescens/Maroon bush grows in semi arid areas throughout much of Australia except Tasmania and Victoria. It is a medium size shrub, with stiff upright branches, thin leaves in a long oval shape, which come off the main stem in clusters, with spines which make it quite prickly. The flowers are creamy white to yellow with petals spread like an open fan. After the flower comes the small purplish berry or currant. For a clear picture and description of Scaevola Spinescens and other bush remedies see the book Wajarri Wisdom, by Estelle Leyland . "Firstly, we found that Scaevola spinescens has a good broad spectrum antibacterial activity, giving it potential uses as an antiseptic agent and as an antimicrobial agent for bacteria and fungus which are resistant to currently used antibiotics. 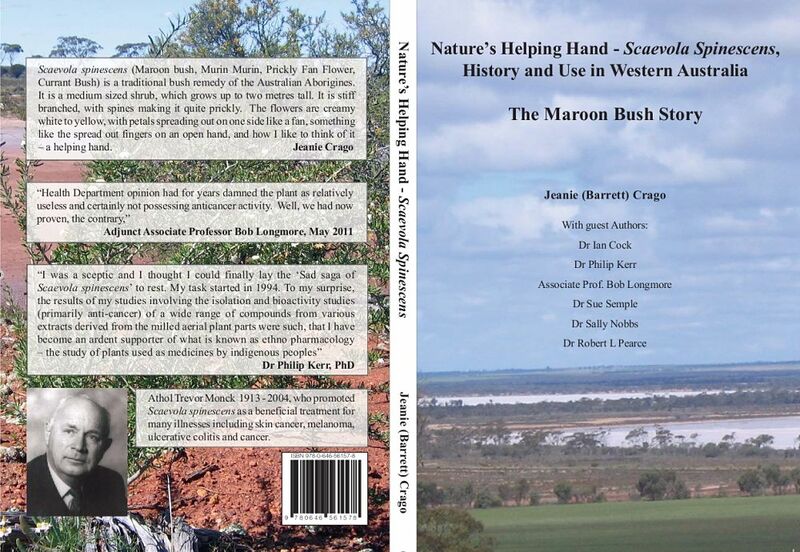 This work supports and confirms a previous study from Susan Semple’s laboratory in South Australia. **Please note: After completing payment details click 'Return to Merchant' to download your copy as it may not automatically download.